Are you someone who journals? I love to journal because I want to know more about myself and I find that some of my most profound shifts come through moments when I am being intentional to be still, where I can hear God’s voice more clearly and write down my thoughts before they can escape me. This is what I wrote in my journal awhile back during one of those moments and I didn’t realize it at the time, but it was the beginning of my business success. “I feel lost and I don’t want to admit it. I hide it with busyness and lots of mind chatter. Somehow this sense of lostness exposes too much of my humanity. I don’t want people to think I don’t know what I’m doing or I’m not good at what I do. But maybe it does expose my vulnerability, I dunno. I’m left feeling very isolated and alone. The lostness as I imagine feels similar to being lost in a desert, alone, without water. There’s fear, fight or flight, anger, shame, blame, and other radical human emotions surfacing. I then judge myself for judging myself. The cycle begins. I recognize that not only is my judgment veiling my ability to feel my lostness, it’s also intensifying my isolation. As much as I want to, I painfully resist the temptation to coach myself out of this dark place. I know the tools and tricks and can quickly convince myself I’m “above all this” and to move in a positive direction. This is my pattern. I’m good at finding answers quickly and wrapping emotions up neatly and moving on. It’s awkward and uncomfortable, and extremely challenging, to not let myself do it this time. Instead I’m still. I’m silent. I pray. I listen. Am I the one cresting the isolation? Might I be wrong and misinterpreting my heightened awareness to new surroundings as “lost” when I’m actually right on track? Might I be traveling to a new destination completely out of my comfort zone (so I feel lost)? This doesn’t resolve quickly or answer itself quickly. It takes time (that pet peeve of mine!). And do I must be patient. My subconscious is wiser than I am and tells me to embrace this so I again resist the urge to move past it quickly. This is humanity. This is life. And I’m not sure if I’m okay with admitting this as a coach but I’ve been hitting my head against this code of perfection wall for a long time now and I’m ready to just say eff it and be me. What I didn’t know at the time was I was experiencing a huge shift in my understanding. My understanding was always mine. During this time, I began to question everything I know to be true and started to rely on God’s understanding instead. He opened my eyes to things aren’t always what they seem, fully trusting in Him as my Holy Counselor and life coach. I was able to let go of the need to feel like I had to have it all together in order to serve others and allow Him to equip me as He grows me. This allowed me to embrace the beauty of being completely open and transparent with my clients and on social media, to focus less on me and more about glorifying Him. As I came to realize through conversations with other women and moms, many who are my clients, that they too have these same struggles, I saw a need to create a community where we could all break ourselves open and grow together and I would be honored to have you join us. To learn more about this Christ centered mastermind click HERE. I have also put together a G.O.D.L.Y. 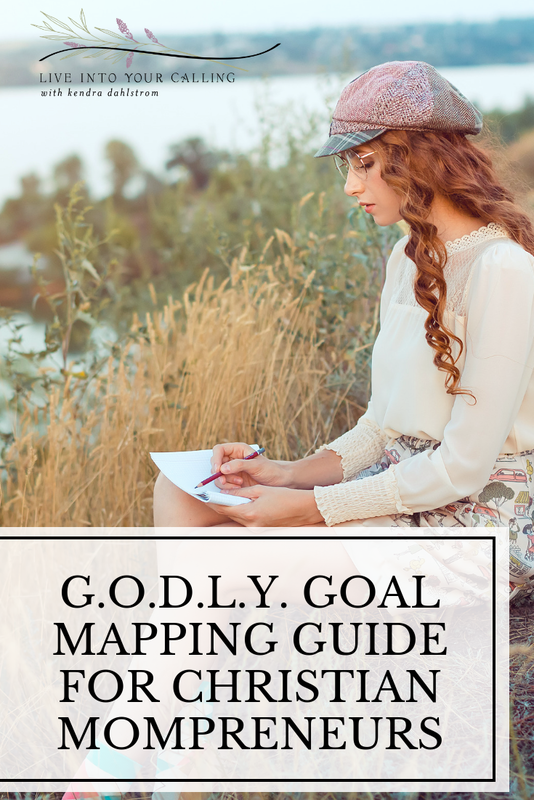 Goal Mapping Guide that is completely FREE, my gift to you.